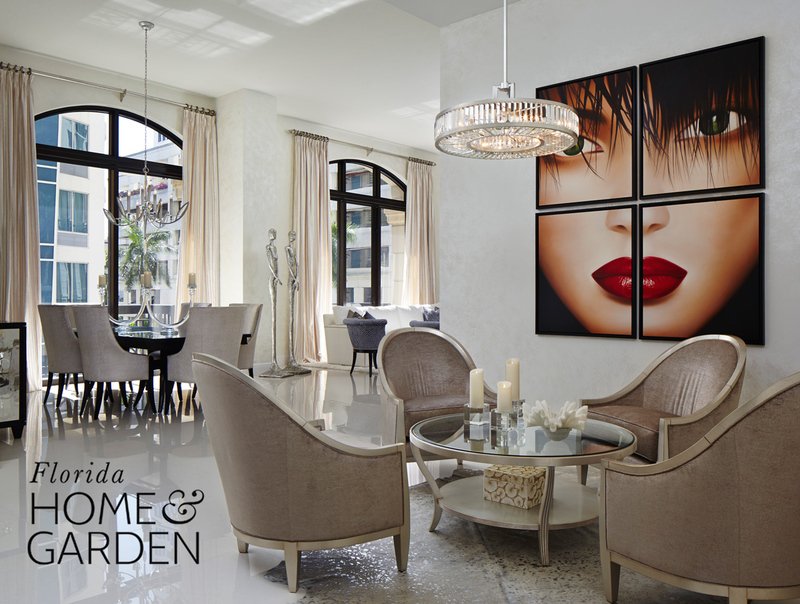 The ever inspirational publication, Florida Home & Garden, has chosen to publish our Palm Beach Urban great room. The art is always eye-catching to interior designers and client’s alike. We are thrilled to be included with some of the elite designers in Southern Florida.